The LT20 Sawmill Series presents ideal solutions for start-up wood businesses, workshops, individual estates and larger business operations that require an efficient, flexible and productive sawmill but do not need the larger volume capability of the LT40 and LT70 Series. 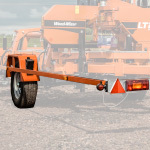 The LT20 cuts logs up to 80 cm in diameter and 4.8-8.4 m long. 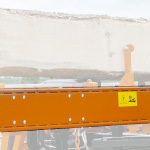 Log handling with the LT20 can be configured for the exact needs of your business – Manual or hydraulic log handling configurations are available to match productivity and budget requirements. 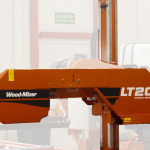 The LT20 sawmill head retains the same productivity features of Wood-Mizer’s premium range. 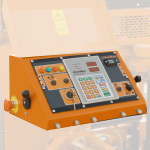 With the standard electronic SW Setworks, simply select the board thickness required and the head height automatically positions for each cut - no waiting for manual calculations. Forward and reverse movement is made by the adjustable power feed. A water tank feeds lubrication directly to the blade to improve cutting performance and keep the blade clean. The electric blade guide arm keeps the blade supported while cutting various sized material. Blade tension is easily adjusted, and keeps the blade at the proper tension for cutting. Full mobility for your sawmill can be achieved with the addition of a trailer package. The optional Debarker prolongs blade life by clearing away dirt and rocks from the bark. Petrol and diesel engine options available. All the bed strength of Wood-Mizer’s more productive LT40 and LT70 Series. 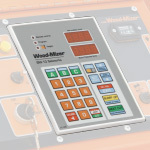 Manual or optionally fully hydraulic control of loading, turning, clamping, and adjusting logs on the sawmill. Fully-compliant for trailer specifications. Includes adjustable outrigger supports for stability on any terrain. Indonesian company cutting exotic hardwoods using a Wood-Mizer LT20 sawmill is boosting their sales in China and Japan.